Former Turkish air force base commander Lieutenant General (ret.) Erdoğan Karakuş told Sputnik that Russo-Turkish arms cooperation is expanding in leaps and bounds and will impact the balance of power in the region, which is currently embroiled in several conflicts. He added that it could possibly prevent further escalation such as a Israeli-US strike on Iran. “Amid this uncertainty about the shipment of US-made F-35 jets to Turkey, Ankara is looking into alternative variants for military cooperation. The main one is strengthening our relations with Russia in the military technical sphere. At the same time, Turkey is working on developing its own jet, but we face the UK’s opposition over this question,” the retired officer told Sputnik. According to Karakuş, Russian-Turkish cooperation is in the interests of both countries. He pointed out that negotiations about the S-400 shipment create the right environment for the further joint production of S-500 missile systems. He cited the Turkish President’s latest statements as an example of readiness for such a level of cooperation. Turkish President Recep Tayyip Erdogan has recently revealed that Ankara is looking forward to the joint production of a new generation S-500 air and missile defense system with Russia. “I have contacted President Putin with a proposal about the joint production of the S-500,” Erdogan said in an interview with 24 TV, without giving the Russian president’s response to the idea. “It’s known that the US together with Israel is working on a plan of joint strike on Iran. Russia and Turkey are naturally against it. I assume that cooperation with Russia, including military relations, can avert the attack on Iran,” Karakuş told Sputnik. The agreement about delivering the Russian S-400 to Turkey, signed in December 2017, triggered tensions between Ankara and Washington, which threatening to impose sanctions against Turkey, as the United States believes that the weapon is incompatible with the NATO defenses, and banned the shipment of F-35 jets slated for Turkey. Despite the threats, speculations over deeper cooperation have risen, as Turkey’s has reportedly shown an interest in buying Russian jets of the fifth generation. 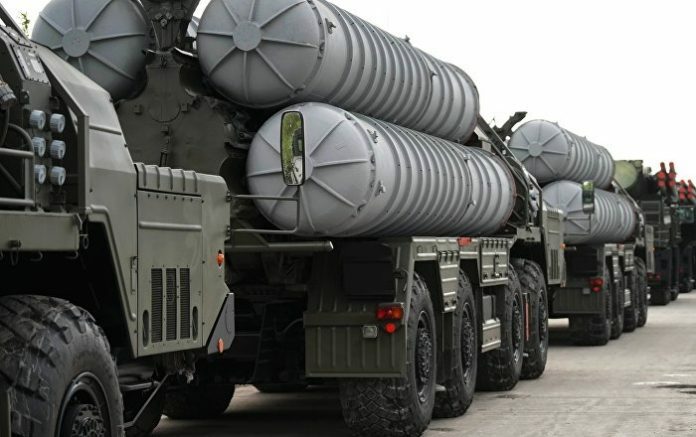 An analyst from the British consulting firm IHS Janes Andrew Heller has suggested that the Russian state-owned arms tycoon Almaz-Antey will be the only foreign player in the Turkish military market within the next ten years, if the S-400 agreement is taken into account.